Amid a tech boom in Cape Town, SA bitcoin exchange Luno has gone on a hiring spree. The startup is looking to fill 40 new positions for the company’s Cape Town office (see here), currently advertised on LinkedIn. These include among others, positions for software engineers, business analysts, fraud analysts, data scientist and tax analyst. The startup is also looking to fill four positions in Johannesburg. Luno founder Marcus Swanepoel said the startup — which is headquartered in London with teams based in several cities across the world — is likely to hire another 50 to 100 people in South Africa over the next nine to 12 months. “Yes we are seeing technology investment driving a lot of job growth in Cape Town — not just with us but also (for) other companies — big ones like Amazon and smaller ones like us,” he added. In some respects, he said, hiring in South Africa is becoming more challenging especially with a very small talent pool for tech and competition especially for software engineers. Last week Business Day newspaper reported Western Cape economic development MEC Alan Winde as saying the city’s growing tech sector had helped employment grow in the city by nearly five percent over the past year. A report (downloads as a PDF) released last week by Endeavor Insight found that the greater Cape Town area, including Stellenbosch, employs more than double the number of people that Lagos and Nairobi do combined — with 450 to 550 entrepreneurial companies employing between 40 000 to 50 000 people in the city. 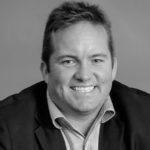 Swanepoel concurred with Winde’s earlier statement adding that foreign investment is fueling Cape Town’s tech boom. However, he attributed most of Luno’s expansion to the company’s growth itself and not necessarily conditions in Cape Town. Commenting on whether having a Cape Town presence is better than a Joburg one, Swanepoel said if one needed to be close to banks or travel a lot into Africa, being based in Johannesburg can be a better bet. Cape Town, he said, tends to be better for things like software or design. “We have also found that for attracting foreign talent Cape Town seems to be a preferred location,” he added. Luno is not the only tech startup looking to hire more talent in Cape Town. Fintech JUMO has nine positions in its Cape Town office it is looking to fill — ranging from data scientists to positions that include an analytics and reporting developer (see here). Another fintech, Yoco is also looking to fill five positions in its Cape Town office (see here) — for software engineers and a UX Designer.